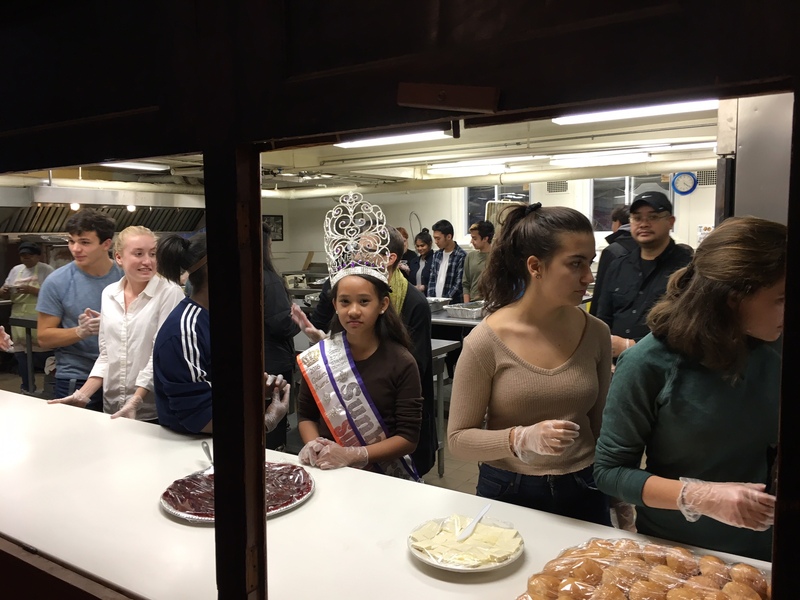 Since 1983, Soup at Six has provided dinner from the basement gym of the Hemenway United Methodist Church, 933 Chicago Ave.
Our Evanston soup kitchen feeds the hungry every Tuesday night at 4:30pm. Some volunteers arrive early, around 12pm to start the cooking. Around 10-20 volunteers arrive around 4pm to serve and clean up. And remember...we are called Soup at Six, but we serve at 4:30pm! 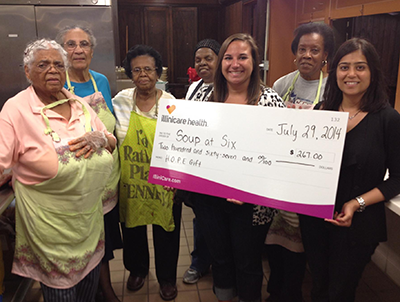 Six community members started the soup kitchen but the meal starts at 4:30. 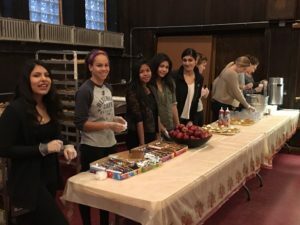 We prepare enough food to feed the 100 or so people who attend this free weekly dinner. Soup at Six is an independent, non-sectarian non-profit organization, funded completely from donations and gifts. There is no fancy board to organize fundraisers and no overhead costs. 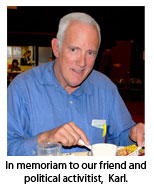 Each penny that is donated goes directly to feed our guests. 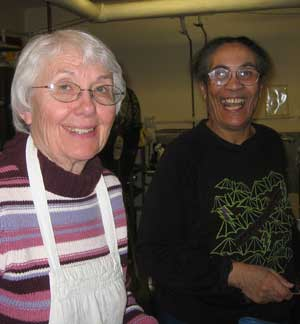 The volunteers who prepare the food, led by Erica Hall, are very creative and efficient, stretching their funds to prepare soup, a starch, a couple of fresh salads, an entree dessert and bread every week, as well as a sack lunch for guests to take with them. EMAIL US with any questions at jcowan@solidprint.com. 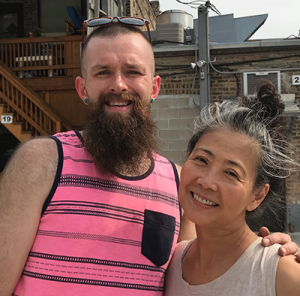 Besides being a place to find fantastic treasures, Secret Treasures at 605 Dempster in Evanston has adopted Soup at Six as an organization to care for - and boy are we lucky. Henry Flora built out and decorated an incredible dollhouse that was raffled off this past weekend. What a treasure indeed. The proceeds of the raffle ALL were donated to Soup at Six. Wow. That is quite generous. And a portion of all proceeds from the sidewalk sale also went to the soup kitchen. Thank you so much Dawn and Henry and the other staff and friends of Secret Treasures for all of the kindness and generosity. We also want to thank the customers who have donated their commission money to the soup kitchen. We are so lucky to have these friends. Visit the shop and their website. 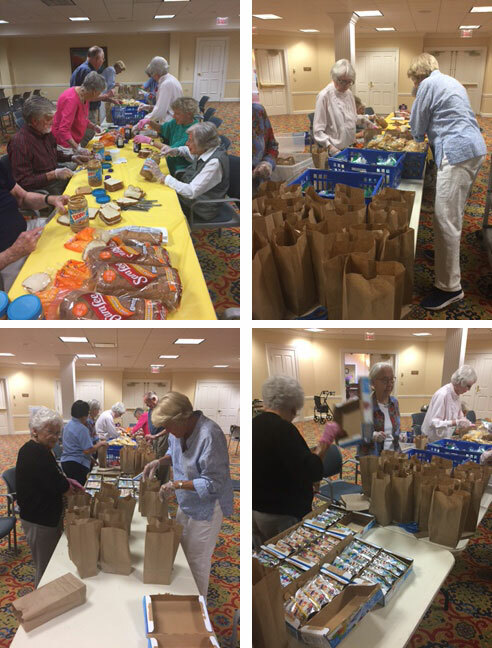 The residents at Presbyterian Homes in Evanston have been supplying sack lunches once per month to Soup at Six. 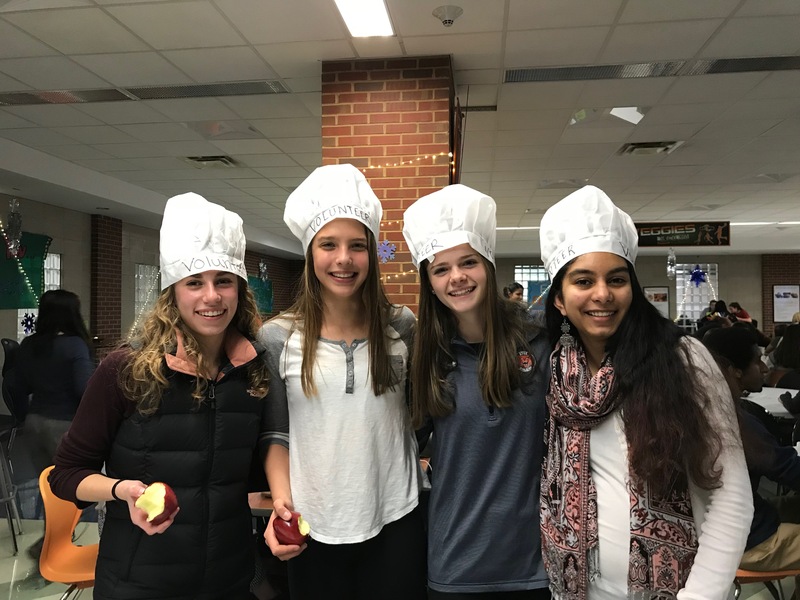 They gather in their work space and make sandwiches, and distribute the other fixins' into the brown bags that are then delivered by Jill Greenman, Activity Specialist for Residential Programming. These lunches allow Soup at Six to stretch our funds and give us more time to make dinner and set up the dining room. We want to thank all of the folks at Presbyterian Homes for their generosity and kindness. A special thanks to Jill Greenman, their activity director who organizes, delivers the lunches, and helps to make it all happen in general. We appreciate her work and enthusiasm in helping out the guests at Soup at Six. Anyone is welcome to volunteer. All volunteering is unscheduled. We have a rough time accommodating groups that are larger than 4. IF YOUR GROUP HAS MORE THAN 4 PEOPLE, PLEASE EMAIL US TO CONFIRM. 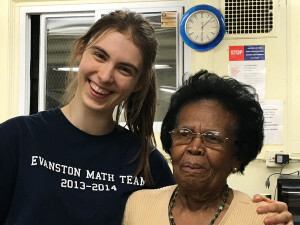 If you are looking for alternative places to volunteer, the Interfaith Action Council of Evanston created this list of places to volunteer. 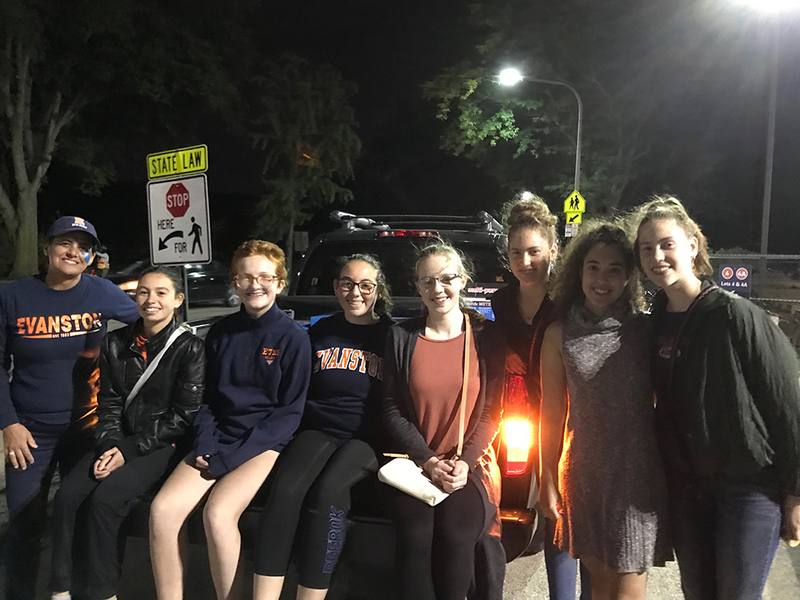 We have strong relationships with Evanston Township High School, Niles North and Niles West High Schools, where kids come to help out for Social Service credit, or just as part of a social service club. 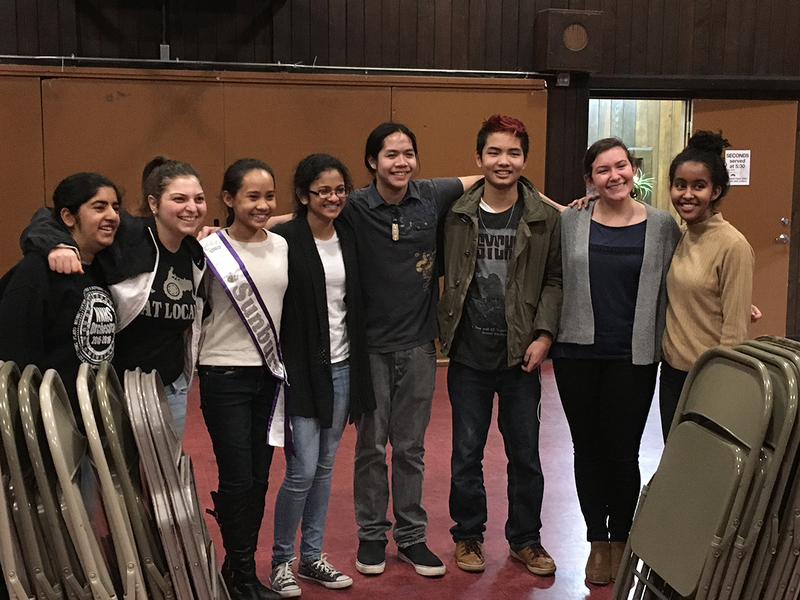 Kids from other high schools are always welcome too. If you want to volunteer, please come anytime after noon. You can help to cook and set up earlier in the day. 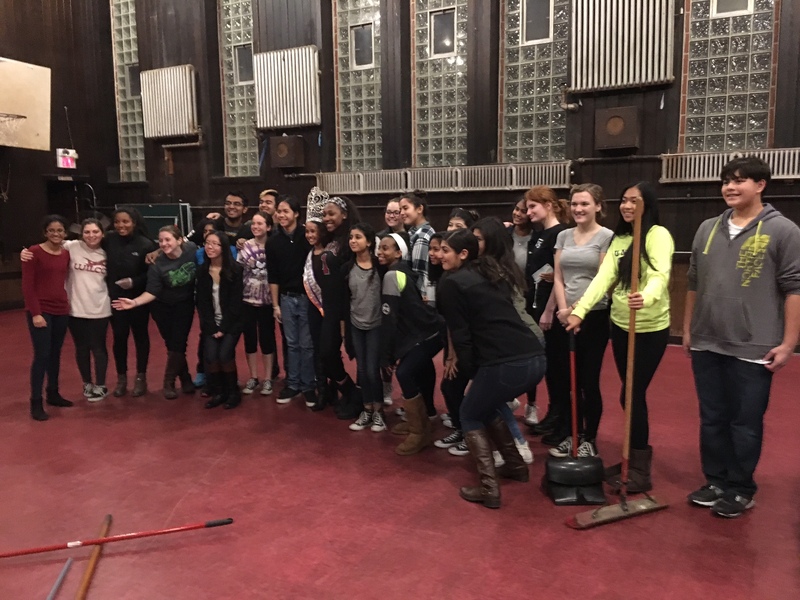 To volunteer to serve and clean up, then plan to come around 4pm and stay until 6:15. Any Tuesday of the year. Seriously, ANY Tuesday. 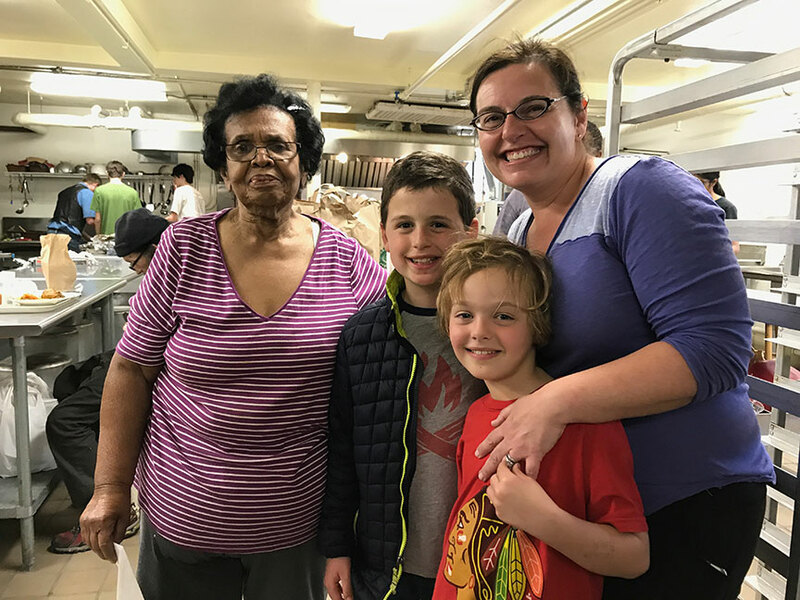 Folks of all ages come to help our soup kitchen and we are so thankful for them! 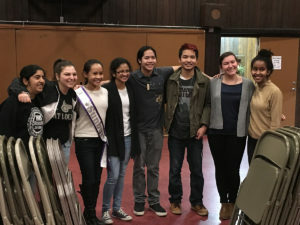 Huge numbers of kids from Evanston Township High School and Niles North High School make a commitment to serving and cleaning up the soup kitchen meal on Tuesday evenings. WE APPRECIATE YOU ALL! We are located at 933 Chicago Ave. Evanston, Illinois, in the basement of the Hemenway Methodist Church. If you want to come to be a guest or to volunteer, please come to the back door of the Church . Ring the bell and join us! EMAIL US with any questions at jcowan@solidprint.com. 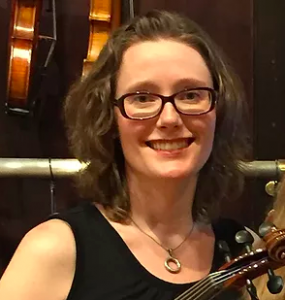 Elise has been playing at Soup at Six as part of her idea for "KItchen Music" that brings musical entertainment to soup kitchens. The beautiful sounds of her violin drift around the room, bringing a peaceful and warm energy. Our guests love it. Volunteers do too! I use music to connect people with their world. It's a joyful feeling to see faces light up when they play a song, or laugh when they feel the vibration of a violin string. I like to think it's these moments and skills that make us human. My goal is to preserve music in our society. With performances and lessons, I cultivate a lifelong relationship with music that inspires joy and wonder. I travel across Chicagoland in my happy yellow smart car, violin in tow. I bring music with me, and I hope you will, too." DONATE TO SOUP AT SIX! We accept (and encourage) all kinds of donations to Soup at Six soup kitchen. In these more difficult economic times, we are finding a greater demand on our resources, so donations are especially useful and appreciated. If you want to make donations of fresh foods, canned foods, paper goods, juice boxes or other items that we can use for meals, please contact us at jcowan@solidprint.com with your phone number and contact information. 933 Chicago Avenue, Evanston IL 60202.